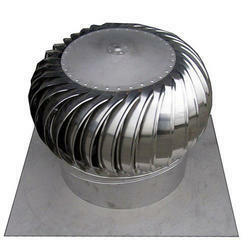 Turbo Ventilators are used for ventilation purpose so that proper air circulations can be maintained. Size: 8", 12", 14", 16", 18", 21", 24", 28", 32" and 34"
Being a highly effective, lean and fast-moving organization, we are highly instrumental in providing an extensive array of Natural Air Ventilator that is widely used in various industries. The offered air ventilator is manufactured using the best quality raw material and progressive technology in compliance with industry norms. 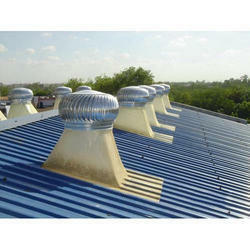 We can Design and Manufacture Roof top Air ventalitor. It is suitable for industrial, commercial and including schools. Throat sizes available include 100mm, 150mm, 300mm, 400mm, 450mm, 500mm, 600mm, 700mm, 800mm, and 900mm. The wind driven Air ventilator exhausts hot air from buildings and allows it to be replaced at low level with fresh air. Size: 21'' & 24 "